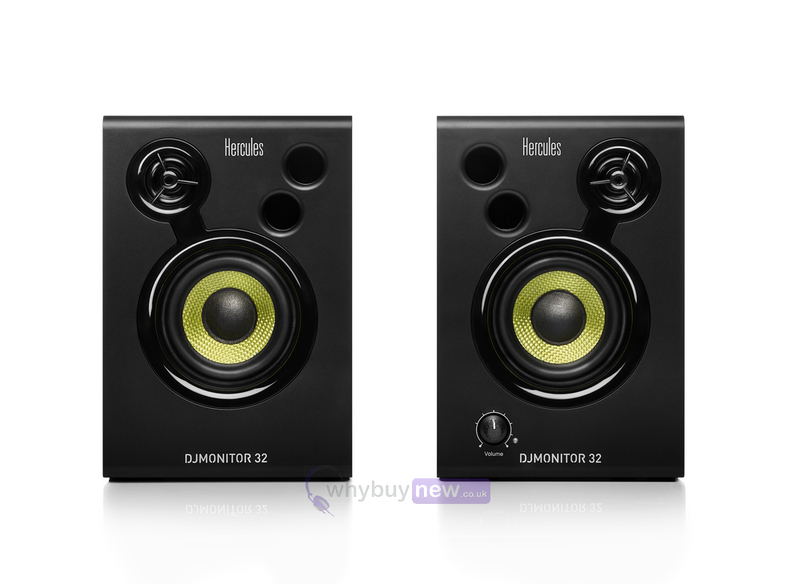 These are the Hercules DJ Monitor 32 studio speakers from one of the leading brands in beginner DJ'ing equipment. 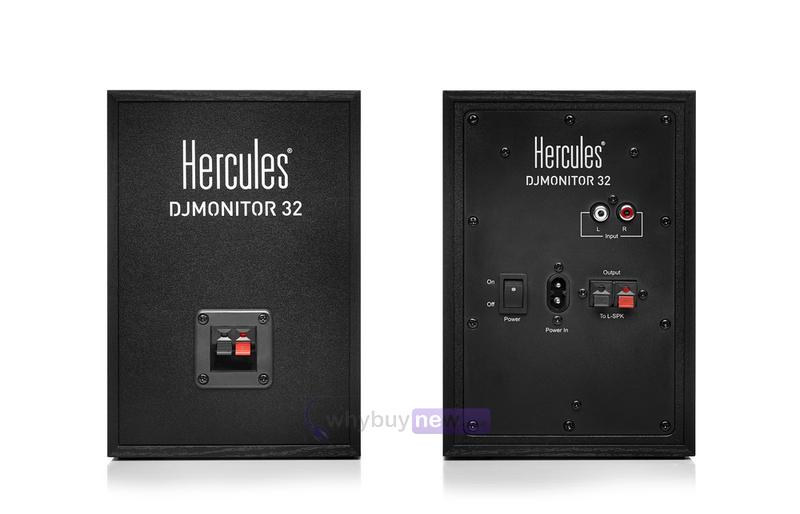 The Hercules DJ Monitor 32's come at an affordable price but have the high sound quality you expect from industry-standard speakers - especially ones that have been tested in an anechoic chamber by audio experts to bring you the true sound of a professional recording studio. These monitors might be small but they can still produce a powerful sound with their high-quality component parts and tweeters that have been placed for optimal rendering and stereo effect. 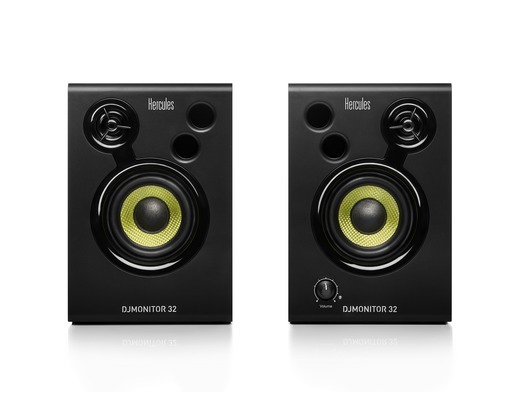 Drawing on its extensive expertise, Hercules is proud to offer a pair of active monitor speakers that are perfect for users getting started in the world of DJing. Though small in size, they more than measure up to other bigger models in their category most importantly in terms of their quality and output power. Hercules engineers took the greatest care when developing the Hercules DJMonitor 32 speakers in their own professional anechoic chamber. Input from specialists in the world of DJing and an in-depth study by audio professionals allowed for optimisation of the speakers performance.